Controlling digital access is critical. As your business looks to fortify its infrastructure and sleuth out hidden vulnerabilities, a key security aspect is to protect the digital front door that your team uses on a daily basis. These username/password portals provide wide-reaching access, and if compromised, could have wide-reaching implications. The tools that help businesses manage the security of these front doors are collectively known as Identity and Access Management providers, or IAM for short. In addition to providing top-notch security, your IAM solution can help you manage access within an increasingly complex digital landscape, ensure a smooth user experience, automate the degree of access that each user has, and implement streamlined digital offboarding. Through the combination of these IAM initiatives, businesses can have better control over system access, mitigate security vulnerabilities, streamline IT oversight, and reduce costs. While there are many providers of IAM solutions, it can be difficult to understand the differences between the services on offer. To help you choose the best IAM tool for your business, let’s compare two top IAM providers. 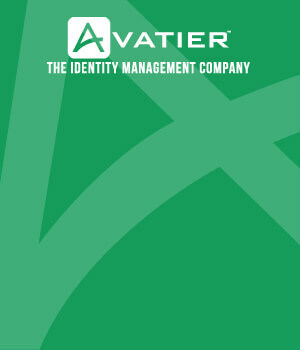 Both Avatier and SecureAuth offer identity and access management tools that provide strong business security. You may know SecureAuth as Core Security; however, following a 2017 merger, it has rebranded its IAM tools under the SecureAuth name. While similarities exist between the two options, some key differences are of note as well. Below, we’ll compare the features, infrastructure, and cost of Avatier and SecureAuth so you can choose the right IAM provider for your business. Both Avatier and SecureAuth offer a wide set of IAM tools to help your business secure its access points. Both platforms offer Single Sign-On (SSO), which provides a streamlined way for users to access a wide set of business applications. Both platforms offer user provisioning tools, which allow managers to automate levels of access. Each platform offers access governance tools to help you perform IT audits, achieve compliance, provide transparency of user access, and reduce security risks. Each platform also offers group management tools (sometimes called role-based access control), which improve business productivity through intelligent access protocols that reduce IT management strain and prevent access beyond parameters. The security tools aren’t only behind-the-scenes management. Both platforms also offer multi-factor authentication (MFA) and self-service password resets that can reduce help desk burden by 30 percent or more. SecureAuth does have some additional tools, such as penetration testing and adaptive authentication. However, Avatier’s Adaptive MFA Access is coming soon. IAM implementation can be more difficult in an increasingly complex digital landscape. Recent data shows that 81 percent of businesses have a multi-cloud environment that’s spread across several public, private, and hybrid environments. There are also on-site servers and a range of user devices extending from on-site machines to employees’ personal mobile devices. This matrix of user access instances across the many possible combinations can dramatically escalate IT overhead, user friction, and security risk. The response to this “identity sprawl” problem by SecureAuth is to focus on access provisioning, which is to make sure that only the right people have access. Its product solution is for adaptive authentication, which is a federated identity tool. On the other hand, Avatier’s response to the complex digital landscape is baked into the infrastructure of all of its IAM tools. Avatier’s Identity Anywhere is the world’s first Docker containerized identity management solution. With Identity-as-a-Container (IDaaC), Avatier can be consistently and easily deployed across a wide set of environments, both on-premise and in the cloud. The key advantage to this approach is the standardization of containers. This helps administrators avoid problems that result from small differences in computing environments, allowing for automated application deployment and maintenance using orchestration scripts. Additionally, containers allow for more efficiency, running at a 20x higher density than traditional virtual machines from VMware and Microsoft. “As organizations spend more and spread their investments across multiple providers, the need to ensure manageability and transparency becomes even more important,” said CIO. “Fortunately, configuration frameworks and containers can help in eliminating inefficiencies and untangling complexity,” said the article. Unlike other IAM providers that have vastly different pricing structures [Add link to NetIQ article], both Avatier and SecureAuth have similar pricing structures for B2E IAM applications. It’s a monthly fee of a few dollars per user. With SecureAuth IdP for cloud-based service, TechTarget cites the monthly rates for B2E tiers at $1 per user for the Secure Package, $3 per user for the Protect package, and $5 per user for the Detect Package. Tech Target also notes additional fees when supporting more than five applications or more than 10 applications, and there’s an additional fee for risk-based authentication. 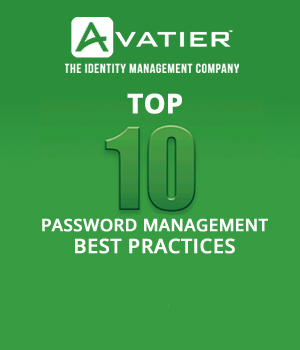 With Avatier’s pricing, the monthly cost for the groundbreaking Identity Anywhere (IDaaC) hosted B2E services is $1.50 per user for Password Management, $2 per user for SSO, $3 per user for Access Governance, and $5 per user for Lifecycle. Rates are even lower for non-hosted environments, saving 30 percent on each service with costs ranging from just $1.05 to $3.50. Avatier is providing the world’s first Identity-as-a-Container (IDaaC) tool, an innovative solution to the increasingly complex digital landscape. This baked-in infrastructure solution provides a key advantage to businesses that want security that’s scalable, portable, and streamlined, while also offering continuous delivery. SecureAuth does offer some additional tools; however, Avatier has been called an “IAM vendor to watch” by Solutions Review, following its awards from both Gartner and KuppingerCole. Of particular note is that KuppingerCole called Avatier an Innovation Leader. In the digital security race where businesses always need to stay one step ahead of the threat, being on the cutting edge of security can give your business the upper hand.Learn how Avatier’s innovative approach to identity and access management can help your business’ security.